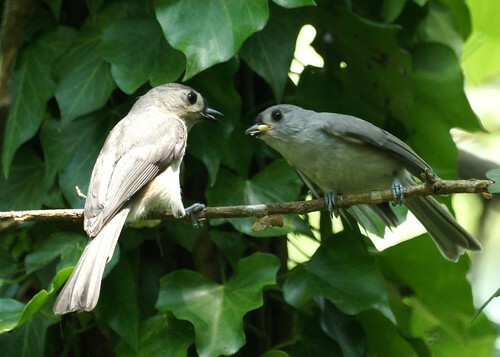 The titmice have fledged. 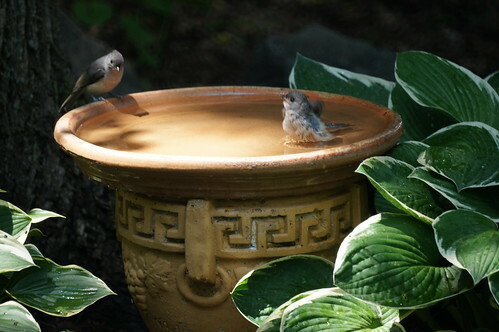 We have 2 parents and about 4 kids visiting the feeders and birdbath. The fledglings chirp 'feed me' constantly but we enjoy the activity.